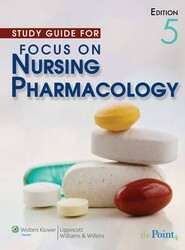 A study guide that is designed to accompany the Fifth Edition of "Focus on Nursing Pharmacology". It includes NCLEX[registered]-style questions, matching questions, true-false questions, short-answer questions and other exercises to reinforce the content of the text. 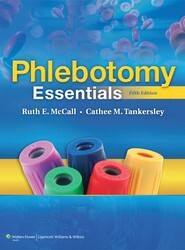 Contains information on phlebotomy procedure. This title also includes information on safety issues and equipment, laboratory information systems and instrumentation, legal issues, and diagnostic tests. Features online searchable text, Concepts-in-Action animations, Watch and Learn video clips, journal articles for each chapter, clinical simulations, case studies for each chapter, heart and breath sounds, and LiveAdvise student tutorial. This title also offers a CD-ROM that contains 300 NCLEX-style questions related to medical-surgical nursing. Offers online searchable text, Concepts-in-Action animations, Watch and Learn video clips, journal articles, clinical simulations, case studies, heart and breath sounds, and LiveAdvise student tutorial. 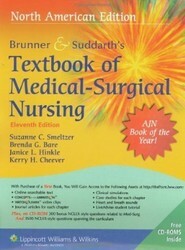 This title also offers a CD-ROM that contains 300 NCLEX-style questions related to medical-surgical nursing.